A unique process, experienced consultants, high-quality service. Talentor is able to find the best talents and attract their attention through our executive search. Human Resource Management is a significant part of strategic business management. Strategic insight, know-how as well as ability to anticipate changes in the operating environment together with the business management are highly expected skills from the head of human resources. Effective human resource management is focused on developing those areas that build the success and competitiveness of the company. Talentor has several years of experience in finding talented human resource experts as well as strong candidate networks in the field. The role of Chief Information Officers as the strategic enablers and transformers of business has been brought up to a central status through digitalization that affects all industries. Besides having technical substance knowledge, the information management leaders should understand the significance of business and the role of staff in utilizing technology. The juridical service markets are in a significant stage of breakthrough. Clients are seeking for better business skills, holistic consultation and more efficient use of technology from juridical counselors. Traditional service providers have to radically renew their business models in order to respond to the pressure to change. The development of digitalization and marketing is strongly visible in today’s marketing in Finland. There is a strong shift from traditional print advertising to digital marketing utilizing a broad channel network. However, the Finnish digital marketing is still behind other Nordic countries; in 2015 the Finnish digital marketing accounted for 286 million euros, whereas the amount of Swedish digital marketing accounted for 1.37 billion euros altogether, which is almost 5 times more than in Finland. Successful sales management requires anticipating and observing changes in client needs and consuming patterns. Digitalization and the transfer of information to web enable easier gathering of client data and comparison of products. Talentor has over 15 years of experience in recruiting sales directors to the needs of different organizations. A successful company must invest in good organizational leadership culture, create workable company structures, build modern control systems, commit and develop staff, manage financial resources and intensify processes. Strategy and business development guide a company towards success through a comprehensive analysis of business environment as well as identifying and developing one’s own core competences. The future heads of finance have to be able to make more justified decisions utilizing new technology that have a direct effect on the company’s performance. Digitalization has transferred heads of finance and other finance experts to the modern era, since automated data processing has enabled real-time financial decision-making that is free of old reporting cycles. For already 15 years, Talentor has successfully worked as the recruiting partner for its clients in the recruitment of different financial experts. According to studies, the most important features of future executive management will be the skills in communication and interpersonal interaction, negotiation and presentation as well as problem-solving. Integrity plays a key role in modern leadership practices as stakeholders require more and more functional transparency. Investing in the recruitment of executive management is one of the most important strategic decisions of a company. Talentor has, during its 15-year old history, successfully supported the executive management recruitment of its clients. Energy production generates a significant amount of greenhouse gas emissions which are accelerating the climate change. Due to the climate change the world’s energy production is facing unprecedented challenges in the domestic and international markets. Through our extensive experience from the Energy Industry and our wide network among the best talents, we deliver high quality and client-focused results for our customers’ needs. During the last 20 years the information technology has changed every process of information flow in the global business world. The Industry of Information Technology has become one of the most significant industries in Finland as it is growing and changing every day. The Finnish financial markets have become more international than ever before. There has been a lot of integration between different Finnish banks and insurance companies in the last few years. Talentor has gained extensive industry knowledge and wide networks among the best candidates in the field of banking and insurance industry. In 2015 the revenue of the Finnish Game Industry increased to 2,4 billion euros, which means the whole industry grew 33 % compared to the year before. During the last decade the Game Industry has become one of the most prominent export industries in Finland as 95 % of the production of the Finnish Game Industry is directed to export. The Game Industry has growing significance in the entertainment industry and in the profits of the Finnish export activities. The main objective of the Industry of Planning and Consulting Services is to develop competitive advantage and growth of the Finnish society. During the year 2016 the total revenue of the Planning and Consulting Services Industry grew 9 % compared to the year before. We offer innovative recruiting solutions for Executive and Professional Search for the Industry of Planning and Consulting Services. The industrial organizations need to internalize the modern technology into the customer oriented products and production processes in order to survive in the competitive markets. Due to the climate change the industrial organizations are expected to provide more environmental friendly and sustainable solutions. We connect our clients with innovative business leaders and corporate functional experts with innovative recruiting solutions. Talentor has been helping Health Care organizations for over 15 years in Finland. We help our clients to acquire the best talents from the fields of medical care, medical equipment, pharma, consumer health, biotech and other health care areas. The field of FMCG is one of the most significant industries in Finland. FMCG is characterized with sensitivity for economic trends as the growth of the industry has been decelerated. Due to the massive technological transformation, there have been several changes in the industry of FMCG. Talentor helps its clients drive business in the continuously changing environment, by winning the right talent to meet evolving client needs. We help clients drive strategic change and business growth in several industries and functions in Finland. 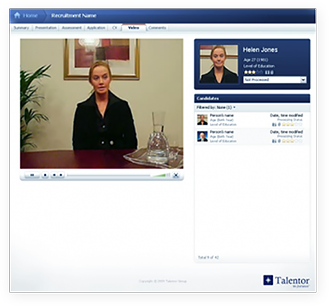 Talentor is an international executive search company specialized in demanding recruitments. Talentor has large clients from various industry sectors. We conduct them a high amount of searches in every year. Uuden työntekijän palkkaaminen on yksi kauaskantoisimpia ja merkittävimpiä päätöksiä organisaatiossa. Hoidamme monivaiheisen ilmoitusrekrytointiprosessin ammattitaitoisesti, ripeästi ja joustavasti. Toimintamallimme lähtee asiakkaan strategisten tavoitteiden, liiketoiminnan sekä tehtävänkuvien ymmärtämisestä. Talentor vastaa projektin hallinasta ja prosessin kokonaisuudesta. Teemme pohjatyön asiakkaan haastatteluja ja onnistuneita valintapäätöksiä varten. Toimeksiantokeskustelun ja tehtäväanalyysin pohjalta laadimme rekrytointi-ilmoituksen ja suosittelemme, missä kanavissa media-näkyvyys tukisi rekrytointia (sähköiset ja printtimediat). Vastaamme puhelintiedusteluihin ja annamme hakijoille lisätietoja tehtävästä ja prosessin kulusta. Analysoimme saapuneet hakemukset suhteessa toimeksiantokeskustelussa määriteltyihin hakukriteereihin ja esittelemme ehdokkaiden joukosta potentiaalisimmat kandidaatit. Haastattelussa kartoitamme hakijan sopivuutta suhteessa tehtävän vaatimuksiin, joista valikoituu sopivimmat ehdokkaat asiakkaan haastatteluihin. Talentor huolehtii asiakkaan työnantajakuvatyöstä ja huomioi hakijan kaikissa projektin vaiheissa informoimalla ja antamalla palautetta.